Larry Spears was named Chief Executive Officer of The Robert K. Greenleaf Center for Servant-Leadership in 1990. Spears had previously been Managing Director of the Greater Philadelphia Philosophy Consortium, a cooperative association of 12 colleges and universities in the Philadelphia area. He has also previously served as a staff member with the Great Lakes Colleges Association’s Philadelphia Center and Friends Journal, both in Philadelphia, PA.
Spears grew up in Detroit, Michigan and in Shelby County, Indiana, and graduated from Morristown High School. He earned a bachelor’s degree in English from DePauw University. Larry is also a writer and editor. Since 1970 he has published over 300 articles, essays and book reviews, including many for in-house publications. He has also been interviewed by numerous publications, including: Fortune, The Indianapolis Business Journal, The Philadelphia Inquirer, The Washington Post, and Advancing Philanthropy. His recent articles include: ” Servant-Leadership: Quest for Caring Leadership,” and, “Servant-Leadership and Philanthropic Institutions.” He writes and edits the Greenleaf Center’s quarterly newsletter, The Servant Leader. Larry is the editor of Focus on Leadership: Servant-Leadership in the 21st Century (2002, John Wiley & Sons), The Power of Servant Leadership (1998, Berrett-Koehler), Insights on Leadership: Service, Stewardship, Spirit and Servant-Leadership (1998, John Wiley & Sons) and Reflections on Leadership: How Robert K. Greenleaf’s Theory of Servant-Leadership Influenced Today’s Top Management Thinkers (1995, John Wiley & Sons), as well as the co-editor of Seeker and Servant (1996, Jossey-Bass) and On Becoming a Servant Leader (1996, Jossey-Bass). 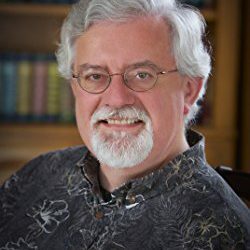 He is also a contributing author to Cutting Edge: Leadership 2000 (2000, University of Maryland), Stone Soup for the World (1998, Conari Press), and Leadership in a New Era (1994, New Leaders Press). Larry is Series Editor of the Voices of Servant-Leadership Essay Series. Spears is a frequent speaker on servant-leadership. The titles of some of his addresses include “Servant-Leadership and the Honoring of Excellence,” and “Greenleaf’s Influence on Trusteeship.” Among his presentations are addresses to The University of Michigan, Alberta (Canada) School Board Association, Indiana Bell, National Society for Experiential Education, and the Association of College Honor Societies. He has also addressed audiences in North America, Europe, Australia and Asia. Under Larry’s leadership The Greenleaf Center has experienced tremendous growth and influence throughout the 1990’s. The Center now has eight branch offices around the world. Larry has two decades of experience in entrepreneurial development and grant-writing, having envisioned and authored 30 successful grant projects totalling over three million dollars. He is a longtime member of the National Society of Fund Raising Executives, the World Futures Society, the National Society for Experiential Education, and the American Society of Association Executives. From 1988-2000 Larry served as a board trustee for Friends Journal and chaired its advancement committee. Larry is a Fellow of the World Business Academy and serves on the Advisory Board for its publication called Perspectives. He and his wife, Beth, are the parents of two sons: James, 14; and, Matthew, 11. To read more about Larry, visit his personal site.